I like that the lessons are bite-sized and fit into everyday life and are split into useful real-world topics, from introducing oneself, to ordering food and making travel arrangements. The app's effective game mechanics ensure that learners stay motivated to achieve their goals, with the average user continuing to learn with Babbel for more than 12 months. The course on Babbel is created specifically for each language pair by a team of education experts, linguists and language teachers. Learning a new language makes you appear more attractive. 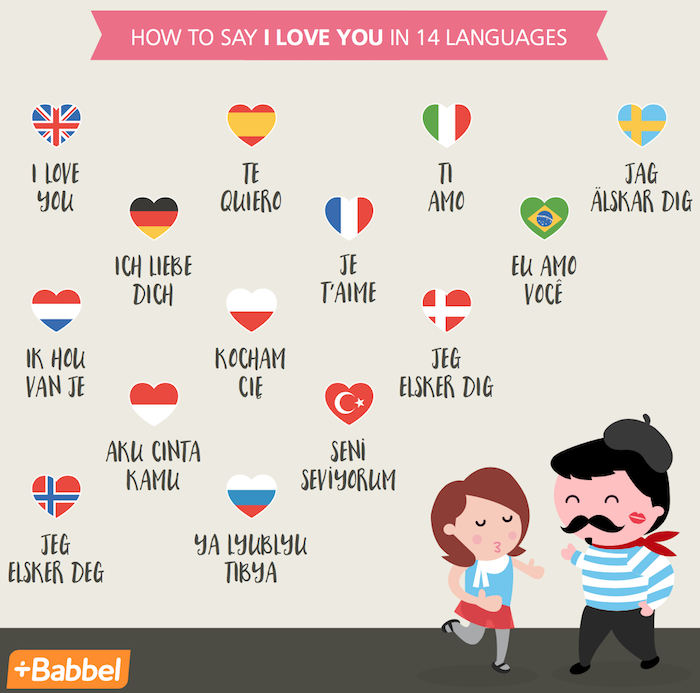 Almost 70% of Canadian language learners feel that speaking a foreign language makes you more attractive to someone, according to Babbel's 2016 Perception of Language Learning Survey. Learning a new language causes excitement. Learning a new language keeps our brain healthy. Recent research shows that bilingualism has a concrete impact on brain function and that this may have a positive impact on cognitive aging. Learning a new language is a gift that keeps on giving for years to come. This giveaway is open to everyone worldwide until March 10th. Win one year subscription to Babbel (valued at $115). Please leave comments and follow my social media networks to be eligible to win. We live in the US and I think it is very important to learn different languages because you never know when you may need them or want to travel to another country. I live in the USA, and I believe it is important to learn new languages to keep one's gray matter in tip-top shape! I live in Canada. I think it's important to learn new languages to be able to communicate with many more people. I live in Canada - Learning a new language no only helps keep your brain in shape, it allows you to converse with people that don't speak your language no matter what your language is. We're an English and French speaking house and I would love to learn Arabic & Armenian. I'm in Alberta and a new language would open job opportunities. I live in canada and would love to learn a new language to speak with my romanian inlaws! I live in ON. I love learning new languages because I get so much more out of travelling when I understand the local language. I live in Canada and I think it is always a good idea to have fluency in another language when you travel. I'm in Canada. It can be important to learn a new language, as much as possible, before going travelling as it helps connect to the people in that country! I live in Canada and I think it is important to learn a new language for many reasons - travel, work opportunities, expanding the brain. My oldest daughter and husband are fluent in French, and my next daughter will be starting French Immersion next year so I really want to learn too. I live in Ontario and I teach Core French. I think it's very important to learn another language because it allows you to really experience another culture when you can speak the language. I live in Canada. I think it's important to learn another language to make traveling more fun and educational.